At first, I wasn't sure I was going to write about Elon Musk launching his Tesla Roadster into space on this week's Falcon Heavy test flight. Given the mixed reactions I've seen online, dissecting the Tesla didn't seem worth it, especially since the real star of the show is a giant new rocket that could revolutionize spaceflight. Then, I found myself describing the test flight to my friend Porter. 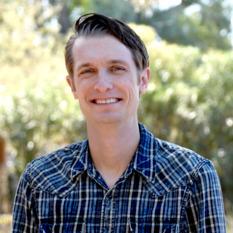 Porter is an artist and school art teacher who loves space, though he's not necessarily plugged in to all the latest space happenings. That's where I come in, frequently giving him quick rundowns of cool space news. When I told him about the Roadster, he responded with a mix of incredulity and awe. I opened my phone to pictures of the car in the Falcon Heavy's cavernous payload fairing, and tried to answer his questions: Yes, it's real. Because you have to add mass to the vehicle and this is cooler than concrete. It's going into orbit around the Sun somewhere between Earth and Mars. Porter absorbed all this, sat back, and thought for a minute. "I don't think I like it," he finally said. "I don't know... it just seems like such a waste." 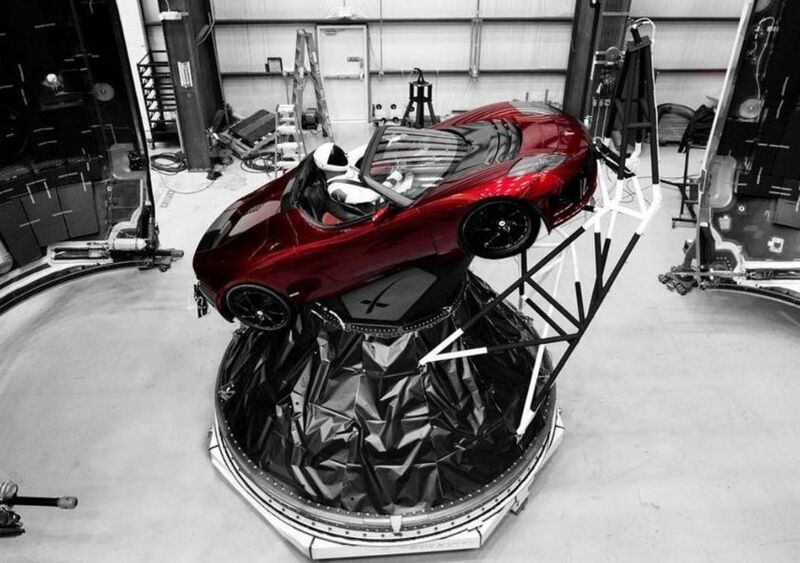 Elon Musk added a "Starman" to his Tesla Roadster, which is set to launch to space on the Falcon Heavy Rocket test flight. Porter eventually clarified it seemed like a wasted opportunity to do something more beautiful, more inspiring—more artistic. Maybe he had something in mind more like Peter Beck's Humanity Star, the "disco ball" RocketLab recently launched into space. But art is subjective, and not everyone is thrilled with the Humanity Star, either. On the one hand, it seems like a harmless publicity stunt—not that SpaceX or Tesla really need publicity help. I confess it appeals to my inner adolescent, and comes from the mind of a guy who recently made headlines for selling $500 flamethrowers. 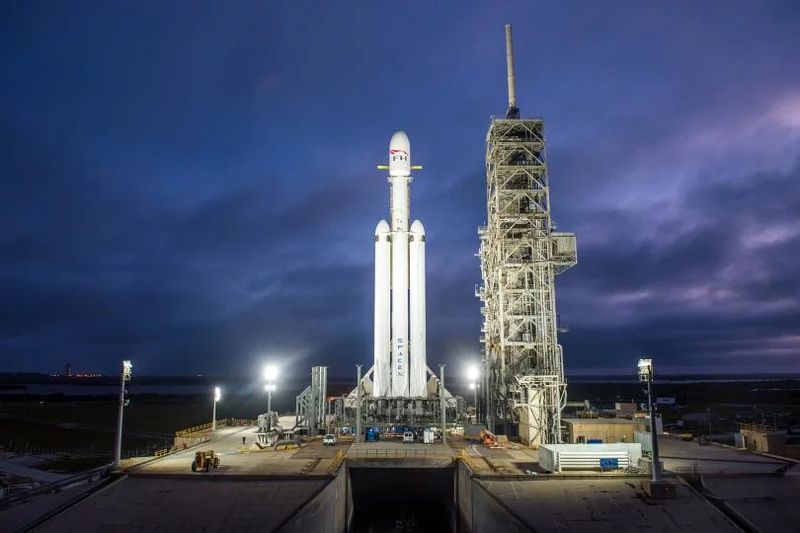 There may also be some nose-thumbing going on here: As I mentioned in my preview article, the Falcon Heavy could help SpaceX capture the geostationary and beyond-Earth human exploration launch markets, completing the company's upheaval of one the world's most entrenched industries. Tesla, meanwhile, if successful with the Model 3, could deal a serious blow to traditional U.S. automakers. What better way to rub those achievements in than by orchestrating such a grandiose gesture? On the other hand, rather than throwing away a perfectly good supercar, Musk could have donated it to charity for auction. The carbon footprint and factory labor used to build the car will be destroyed for no reason. SpaceX could have also asked if anyone wanted to gamble a satellite for this high-risk mission, though integrating satellites to a rocket isn't trivial and SpaceX probably wants to avoid the logistics. 2018 will be a big letdown from Red Dragon to red Tesla. In lieu of a serious program for Mars next year, we've got a stunt. Maybe. My biggest Tesla interest—or concern, if you prefer—surrounds the lack of information about the car's orbit, and the chances of it hitting Mars. NASA goes to great lengths sterilizing spacecraft designed to land on Mars, in order to make sure there's no chance of Earthly microbes contaminating the surface. Such a contamination could harm existing life and muddle scientific efforts to search for said life. This concern might only last until humans arrive, but in the meantime, planetary protection is such a huge concern, it actually hinders NASA's ability to search for life! There are endless debates on whether current rovers like Curiosity, or future rovers like Mars 2020, should be allowed to investigate spots where briny water may (or may not) ooze onto the surface. I asked a Mars mission expert at NASA's Jet Propulsion Laboratory whether pieces of the Tesla, should it hit Mars, would survive atmospheric entry and make it to the surface. Probably, he said, reminding me that chunks of Curiosity's cruise stage made new artificial craters on the surface. As far as I know, the only hard evidence about the Tesla's trajectory comes from a tweet by Elon Musk and a quote from Musk in a story by Phil Plait. On Twitter, Musk said "Destination is Mars orbit. Will be in deep space for a billion years or so if it doesn't blow up on ascent," and he later clarified to Plait this meant a "precessing Earth-Mars elliptical orbit around the sun." I reached out to half a dozen aerospace engineers for interpretations of Musk's quotes. The general consensus was that the Tesla was probably headed to an elliptical orbit with a aphelion (maximum Sun distance) around 1.5 AU and a perihelion (minimum Sun distance) around 1 AU. In other words, the car will be in an egg-shaped orbit around the sun intersecting Mars orbit at the far point and Earth orbit at the close point. Most of the engineers I contacted were quick to remind me that it's very difficult to hit Mars even if you're trying. Earth and Mars aren't optimally aligned right now (they won't be until around the time Insight launches to Mars in May), and intentionally smacking into Mars would almost certainly require a trajectory correction en route (meaning the Tesla would have to fire its thrusters—and it doesn't have any). So, it's probably safe to say the Tesla will miss Mars on the first pass. But what about Musk's claim the Tesla will cruise through space for a billion years? That's harder to parse. As the Tesla tumbles through the inner solar system, it will be subject to occasional gravitational tugs from Earth and Mars (and possibly Jupiter, one engineer said). In theory, one of those tugs could eventually put the Tesla on a collision course with Earth or Mars. None of the engineers could give me the odds of this happening because there aren't enough concrete orbital parameters available for the Tesla. Most agreed the chances were probably small. How small, no one could say. SpaceX's Falcon Heavy rocket stands vertical at its launch pad at Kennedy Space Center, Cape Canaveral, Florida, Dec. 28, 2017. What does the law say about all this? Not much. Launching something from U.S. soil requires a permit from the FAA. FAA regulations do not explicitly address planetary protection, though the agency requires launch providers follow international laws. The Outer Space Treaty mandates the protection of worlds like Mars by all signatory nations, which includes the U.S., but it's questionable whether the FAA has jurisdiction over the Tesla after it separates from the Falcon Heavy. In the short term, none of this really matters. Whether or not the car blows up over the Atlantic, hits Mars a hundred years from now, or tumbles through the solar system until the Sun balloons into a red giant is largely inconsequential. What is worth considering is the Tesla as a case study for future commercial space ventures. We've reached the point where individuals like Elon Musk and Peter Beck—in this case, two wealthy, white men—can make unilateral statements for humanity in space. The Trump administration has directed NASA to establish a permanent presence on the Moon to enable deep space commercialization, while Musk himself hopes to soon send 100-passenger spaceships to Mars. Part of the appeal of human space exploration is the potential to, for lack of a better phrase, create a better version of ourselves in space. But who is "ourselves," and what does that really mean? The amount of Earthly social baggage the first hundred people carry to Mars will greatly influence humanity's future in space—and if you don't believe me, read Kim Stanley Robinson's Red Mars. Ultimately, that's why it's worth talking about the Tesla. Is there no cost to the environment having the system belch the exhaust into our atmosphere? Sure, they have to do it anyway, but couldn't they have tried to come up with something useful to deliver in the case that it succeeds? Sending the car makes it seem like a costly, environmentally-questionable advertisement for Tesla. @Jason Davis: the treaty's "The Outer Space Treaty mandates the protection of worlds like Mars by all signatory nations, which includes the U.S." Really? Where does the Outer Space Treaty "mandate" this? I suspect someone has been consulting wikipedia. Its planetary protection article quotes Article 9. The trouble is there's a catch. Article 9 requires "States Parties to the Treaty" to "avoid their harmful contamination and also adverse changes in the environment of the Earth resulting from the introduction of extraterrestrial matter". Notice that only contamination of THE EARTH is covered by that provision! True, Article 9 does later add that where a "State Party…has reason to believe that an activity or experiment planned by another State Party in outer space, including the moon and other celestial bodies, would cause potentially harmful interference with activities in the peaceful exploration and use of outer space" it my request 'consultation", but it does not actually forbid the activity. I would also point out that most of the treaty only applies to "State Parties' Meaning nation states like the US, not corporations like SpaceX. To be sure, SpaceX would probably fall under Article 6 as what it describes as a "non-governmental entity". But that provision only says: "The activities of non-governmental entities in outer space, including the moon and other celestial bodies, shall require authorization and continuing supervision by the appropriate State Party to the Treaty." Is the US supervising the SpaceX launch and its subsequent trajectory to ensure that planetary protection protocols are being adhered to? I rather suspect not. I was delighted to hear the dummy payload would be a Tesla. If you want the general public to support space research and exploration you have to make it interesting and fun to the general public. I am constantly checking in on the latest status of the SpaceX rockets because Musk is doing exciting things and making it interesting. Do I frequently check in on the status of ULA and their Delta IV? Nope. The environmental cost of discarding a Tesla must be a drop in the bucket compared to the overall cost of space travel. So, cut Elon some slack and enjoy the ride. Interesting article. Good to see concept explored from different sides. I am on the side of , something needed to be launched , why not a Tesla. Even with that i still enjoyed the article until it got racist. ".....We've reached the point where individuals like Elon Musk and Peter Beck—in this case, two wealthy, white men—can make unilateral statements for humanity in space......" If they weren't "White Men" would your opinion change? If not why include it in your article? Agree with 3StripeMike. While there's a large volume of racist & gender issues worth discussing in the U.S. (and elsewhere on this planet), there is no need for referencing them in this article. And it needn't even be a wealthy individual, but a well-financed small group of like-minded people who could make a unilateral statement in this manner. Otherwise, thanks for the article, Jason. NewSpace is not about space....it is about that bizarro Ayn-Rand-in-Space-libertarian legion of cyberthug hero-worshippers who have hijacked all public discourse concerning space on the internet for nearly a decade. I thoroughly despise them for the unrealized and inestimable damage they have done to public opinion. The worst bunch of toxic creeps I have ever had the misfortune to interact with. That the moderators of almost all the popular space blogs are either enablers or cowed collaborators with their propaganda campaign is pathetic. They are the worst thing that has ever happened to space exploration. That is all that needs to be said. I really appreciate you covering this, as I find it to be a really interesting event and conversation. I'd really like to hear you go more in depth on your response to the argument that this reeks of privilege. It sounds like you're offering that it's a nice effect of privilege, because of what it could afford us collectively. Is that so? Yeah, going to go ahead and agree with 3StripeMike as well. Adding onto that, the only reasons I donate and come on here are to read science updates, cool things happening, and hopefully seeing advancement. Throw in humor, whatever, some opinions even like you will in this style of writing but swinging at race has got to be the most annoying thing to see on this site, even in the most mild or subtle form. Oh yeah, and I'm not white. "Whether or not the car blows up over the Atlantic, hits Mars a hundred years from now...is largely inconsequential". I strongly disagree with that statement. If that car were to contaminate a region of Mars that has traces of life, that would be pretty tragic. To me that stunt is a missed opportunity to do some real science. But it's the guy's money after all. SpaceX overshot Mars' orbit, so they actually do have a pretty good chance of hitting and contaminating Mars. There is a SpaceX graphic that shows they will also approach Ceres, but that graphic clearly doesn't account for Ceres' elliptical orbit. So they are the first ones to threaten to contaminate two different worlds under supposed Planetary Protection. Congratulations, Elon. I share the same concerns as PF, as I noted in a comment to Jason's followup article documenting the actual events. I like it. When people ask "why did he do that?" I answer "because he CAN." And unlike NASA, there's no governing body or voice that tells him "Sorry, that's not a practical use of money." He gets to be the guy who sent his roadster in space for the remainder of human history. That's far more legendary than a guy who donated a vehicle to charity or launched yet another Direct-Tv satellite. If it were NASA, they would have spent 10 years of tax money "studying the effects on a vehicle in space". After that, they'd spend another 20 years trying to solve every hypothetical disaster scenario before actually doing something, eventually opting to send up a firework instead due to public opinion and budget cuts. He's making it happen. As one of those who made up the term NewSpace I both congratulate you for bringing up a few valid points for discussion Jason, and also suggest you drop your ridiculous racial and elitist tone. In the case of Elon your words were completely without merit, or for that matter, relevance. I suggest you pick your targets more carefully my friend. These "rich white guys" and others like Jeff Bezos etc. are investing their own money to create a better future for humanity. They are not using their funds to kill anyone, to protect the iron age industrial complex that is killing us, or to kill free speech, even as others are. Sure, he cross promoted Tesla (which could be argued has done more for the electric car movement by making it "cool" than any other ad campaign or environmental lobbying effort in history). Sure, he could have flown science experiments, but if the rocket blew up - something for which there was a non-zero possibility - they would have been lost. Sure, he could kow-tow to the concept that only governments have the right to do stunts in space. But he didn't. And that is the point. We are allegedly a free people, and out there is where we will at last get to exercise that freedom. The internet revolution of which they are a part allows us to have this conversation and also gave them the means to reach for their dreams, inspired by Sagan and O'Neill and "stunts" like Apollo. Now they want to give you a better future by opening the frontier. Using the net we cross artificial lines on maps and have new conversations like this, blowing past artificial lines in the sky we can learn more about what is out there even as we change lives down here. Right now there are kids of all colours and ethnicities around the world talking and dreaming about space who might not have paid attention before. And one of them might change the world. A red sportscar and a dummie are not too high a price for that. "-etc. are investing their own money to create a better future for humanity." They are bored billionaire hobbyists playing Rocky Jones Space Ranger. The NewSpace fans just take it for granted that most of the population are gullible dummies in red sports cars. Musk is trying to take over the satellite launch industry with every trick in the book and his fans think that is great and also constantly lie through their teeth with the "multi-planet species" con. Puh-leez. "We've reached the point where individuals like Elon Musk and Peter Beck—in this case, two wealthy, white men—can make unilateral statements for humanity in space." Exactly. The point is clear and I have no problem with Jason making it. Obscenely wealthy individuals (white males make up the majority) indulging their boyhood fantasies generate nothing good when all is said and done. They should not get to choose how "we" will proceed in space. The key question nobody is asking is will this parlor trick of landing back boosters studded with way too many low thrust engines actually be cheaper than just dropping them in the ocean? Most likely not. A second question: is Mars really a fit second home for humankind? Not even close to likely. A third question: are the billions in taxpayer dollars, free NASA support, and politically acquired subsidies that Musk has financed his toys with ever going to return anything to the public? Perhaps the NewSpace flagship company will show a profit but those who paid for it will never see a dime. I'm shaking my head at the asinine comments from folks and the evident lack of humour of all involved. How miserable your lives must be! I'm delighted by the stunt and the tribute to Douglas Adams. Go take a valium and learn to appreciate some silliness in life. If you don't understand my reference .... look at the dash. This angst over the Falcon Heavy payload contaminating Mars, is ridiculous. There are over four dozen spent upper stage boosters in heliocentric orbits crossing the orbit of Mars (ignoring the third "out-of-plane" dimension), and not one of those boosters was sterilized, not one. When the InSight mission to Mars launches on its Atlas V-401 in May, there won't be a single ignorant comment about the horrors of contamination by the unclean Centaur Upper Stage following the JPL spacecraft to the vicinity of Mars. "I'm shaking my head at the asinine comments-" Go ahead and shake your head. The very definition of asinine is someone who thinks everyone else knows what they are babbling about. Not a Douglas Adams fan so you are in your own universe and not sharing mine. Having prepared planetary protection reports, I find your concerns relative to contamination of Mars by the Falcon Heavy payload and upper stage to be vastly overblown. As others have mentioned there are multiple “dirty” upper stages from US and USSR missions in orbit around the sun, and the last set of requirements I saw only required impact avoidance for 50 years—assuming that sample return missions would be accomplished in that period. That isn’t to even consider the probability of contamination by multiple crashes of USSR and US missions on that planet. Remember MCO? Finally, Elon Musk rocks the attention of young people to space exploration far more than astronauts making lazy circles on ISS, and your PC swipes at his race are egregious. Musk is after all African-American and an immigrant—how’s that for diversity? "Musk is after all African-American and an immigrant—how’s that for diversity?" And this is after all a SpaceX fan making a standard NewSpace Orwellian comment concerning the great one being black when he is white- how's that for absurdity? I was 10 when Neil Armstrong walked on the moon. I thought by now we'd have a moon base and manned missions to Mars, maybe even the outer planets. In 2018 mankind's greatest achievement: A billionaire shoots his car into space. Cool. But a little embarrassing considering where we should be. To Michael: I said he was African-American, which he is. And what's wrong with being a SpaceX fan? I don't understand the animosity toward Musk and company. They have done great things and inspired a lot of young people. The Purdue aero school is reporting big increases in enrollment, and companies like SpaceX probably deserve more credit for that than NASA. And what's wrong with some NASA funding toward the astronaut launches? Every operational launch vehicle has some heritage of government funding--often most of it from DOD. Do people prefer sending money to the Russians for seats on the Soyuz? Do people think that the billions being spent on the SLS jobs program will make more sense than the potential for using the less expensive Falcon Heavy (with on-orbit assembly if needed)? SLS is slated to cost about a billion dollars per launch, if you believe they can even deliver that price tag. "And what's wrong with being a SpaceX fan?" They have hijacked almost all public discourse on space forums: no criticism of Musk or his company is tolerated. That's what's wrong with being a SpaceX fan. "And what's wrong with some NASA funding toward the astronaut launches?" They have not funded astronaut launches, they have funded a satellite launch company and handed it over to someone who originally made a presidential campaign contributions. "Do people prefer sending money to the Russians for seats on the Soyuz?" No, but since the promised cheap ride to the ISS has yet to be made good while SpaceX lands back hobby rockets and launches satellites for profit, people don't have much choice. "SLS is slated to cost about a billion dollars per launch" A Shuttle era launch cadence will launch 130 metric ton payloads 6 times a year for the same cost as the Shuttle program (which ran for over 30 years). SpaceX fans have screamed for years that launching more often brings the cost down but will not acknowledge that applies to the SLS also. I have been reading about all the concern people have about Elon and his car and it's bugging me to no end. there is no organization or person's around today that has invigorated interest in space more than Elon and Spacex have over the past few years. I have no doubt that the Planetary Society has also been a beneficiary of the impact that SpaceX has had on the public. Are you concerned that public discourse has been taken over by discussion of SpaceX? There is a reason that this is so, SpaceX is doing Things that the public is excited about. The contamination issue is another that bothers me. Personally i would love to see Mars contaminated with life from Earth, the sooner the better. It will be glorious if in 10 000 years there is life thriving on that Barren world, shouldn't that be our goal? shouldn't we as living beings seek to spread life to other locations? How sad it will be if life continues to be restricted to the earth within this solar system. Complaining that obscenely wealthy people are making the wrong choice about what goes into space is a poor thing to say, why does anyone have any more right to decide what goes into space than anyone else? is a science mission more worthy? by whose standard? what makes your desires any more valid than someone else's? I vote that we should do it all.